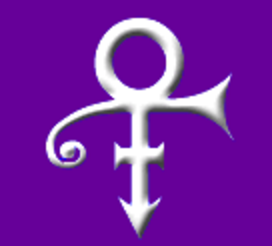 Larry King: "Why then did you choose, 'The Artist Formerly Known As'?" 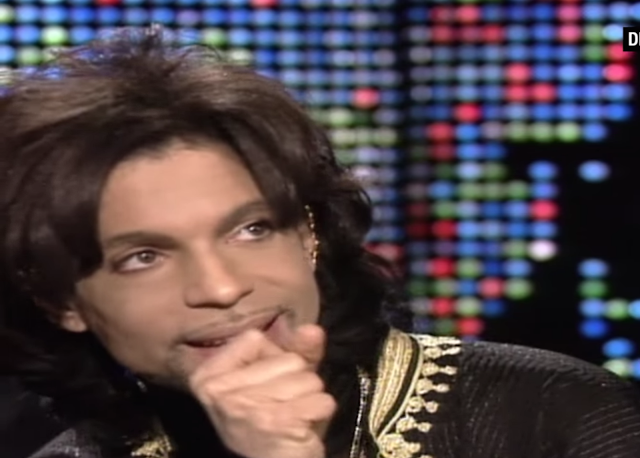 Prince: "Well, I didn't choose that, that was chosen." King: "They chose it for you?" 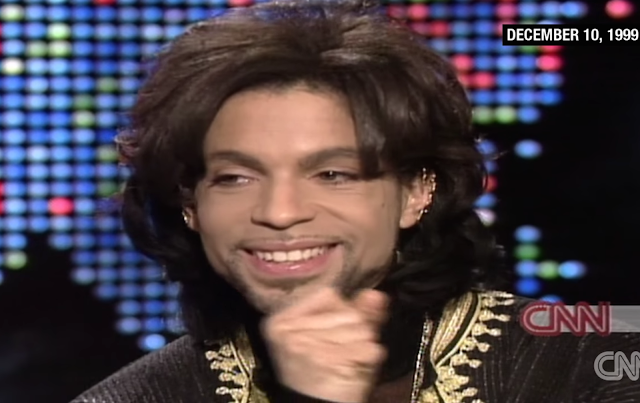 From 0:31.8 to 0:35, Prince partially covers his mouth with a (mostly) closed fist. Initially he also displays a partially suppressed mouth smile. At first he also looks briefly up and to his left (very common but not universal when right hand dominant people are recalling something that is primarily visual). We then see a full sincere smile (Duchenne Smile) with the additional component of blushing. Taken in toto, this nonverbal cluster is highly consistent with embarrassment and a hesitancy for Prince to fully disclose all he is thinking-feeling. Thank you Prince. Rest in Peace.